The vaudeville booking department of the Loew circuit has announced that Gregory Ratoff and Bela Lugosi have been engaged for vaudeville appearances. Ratoff will open at the State Theatre on Broadway, Friday, December 1. Bela Lugosi will head the vaudeville bill at Loew’s State Theatre beginning Friday. Alex Hyde, accompanied by Ruth Burns, Lois Sterner and Lucille Kemp; Al Wohlmann and Harry Carroll, Lew Parker and company and the Gay Boys will complete the bill. 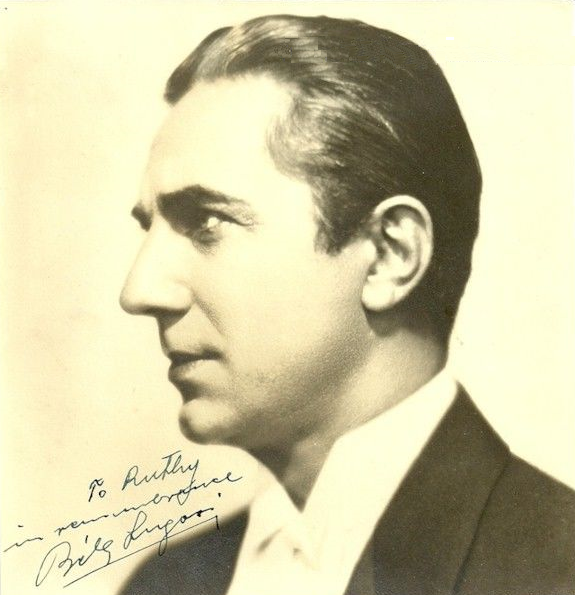 Bela Lugosi heads Loew’s State stage show starting today. Bela Lugosi, late of the films and of “Murder at the Vanities,” is the headline vaudeville performer at Loew’s State Theatre this week. He is showing, in a condensed form, his role “Dracula.” Also on the State’s bill are Alex Hyde and his band, Lew Parker & Co., Al Wohlman and the Gay Boys. Loew’s Fox Theatre, Washington D.C.